Facts of Otto Porter Jr.
Otto Porter Jr. is an American professional basketball player who plays in the National Basketball Association (NBA). 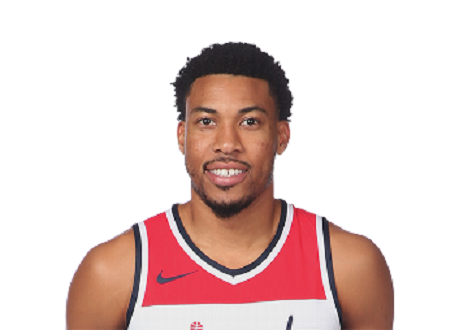 As of 2018, Otto Porter Jr.currently plays for the Washington Wizards as their Small forward. As a small forward, Otto Porter Jr. reportedly earns around $26,011,913 as his yearly salary from Washington Wizards. Further, Otto Porter Jr. has an estimated net worth of over $13 million. Early Life of Otto Porter Jr.
Otto Porter Jr. was born on June 3, in 1993. His father's name is Otto Porter Sr. and mother's name is Elnora porter. As per his nationality, he is American. Otto Porter Jr. attended Scott County Central where he played for his high school basketball team. Otto Porter Jr., in his high school career, held an average of 30 points and 14 rebounds. After completing high school, Otto Porter Jr. enrolled at Georgetown in 2011 and played for the Georgetown Hoyas. He played his first game making 9 points, 8 rebounds and 3 blocks against the Savannah State Tigers as a freshman. he was also named as the Big East Player of the Year and was a finalist for both the Naismith Trophy and Wooden Award. Otto Porter Jr. is a famous NBA player who currently plays for the Washington Wizards. He was selected by the Washington Wizards with the third overall pick in the 2013 NBA draft. He had scored a career-high 28 points in a 114–111 win against the Dallas Mavericks on December 12, 2015.
to Porter Jr. scored career-high points in a 118–93 win against the Boston Celtics on November 9, 2016. Also, read John Wall, Jason Smith, Troy Brown Jr. He scored 29 points against the Golden State Warriors on October 27, 2017and in 2018 Otto Porter Jr scored a season-high 29 points in a 124–114 win against the New Orleans Pelicans. As of 2018, Otto Porter Jr. has an estimated net worth of over $13 million. He reportedly signed a four years contract with the Washington Wizards in 2013. Further, the NBA player has an average salary of $26,011,913 annually. Other than being a famous NBA superstar, Otto Porter Jr. is pretty famous in social media. He has 63.7k followers on Instagram and 2172 followers on Twitter. Otto Porter Jr. is the son of Otto Porter Sr. and Elnora porter. His father Otto Porter Sr. was the part of Scott County Central High School. His father also holds the high school record, 1733 rebounds. Otto Porter Jr's mother also played with the Scott County Central High Bravettes. Elnora porter helped them win the state championship of 1984. Otto Porter Jr. is from a basketball family, so he has great support from his family members. He has a good reputation for his family members and the team as well. As for his romantic relationship, He is still single and has no affairs, girlfriend or wife. Here are some basic facts on Otto Porter Jr. He was born on June 3, 1993. He is 6 ft 8 inch tall. He's the 19th best-paid NBA player this year. He's the highest-paid player of the Washington Wizards this year. NBA Washington Wizards New Orleans Pelicans Boston Celtics Dallas Mavericks Jason Smith Troy Brown Jr. John Wall Naismith Trophy Wooden Award.